Wellington-headquartered boutique Harbour Asset Management has celebrated the New Year with the launch of a new long/short Australasian equities fund. The new fund brings Harbour’s portfolio investment entity (PIE) product suite into double digits with 10 offerings now on display. Harbour, which boasts about $4.5 billion under management, rolled out another new fund last October – the Real Estate Investment Fund – after a three-year product creation hiatus. According to the product disclosure statement (PDS), the Harbour Long Short Fund will target “positive returns through the market cycle by investing in long and short equity positions”. “The Fund is an actively managed, high conviction portfolio investing principally in ‘long’ and ‘short’ listed New Zealand and Australian equities,” the PDS says. Harbour has set a target asset allocation for the new fund at 70 per cent cash and 30 per cent Australasian equities with a benchmark reflecting the mix. The fund will garner a performance fee (of 15 per cent of any outperformance) for beating the NZ 90-day bank bill index plus 2 per cent. Craig Stent, Harbour head of equities, is portfolio manager for the new long/short fund, which has secured some seed investors. 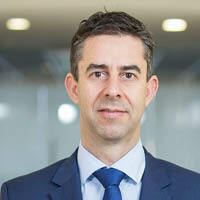 While long/short funds are a popular investment option in other jurisdictions – including Australia – offerings have been sparse in the NZ market, especially in the retail space. Only Salt Funds Management has an explicit NZ-domiciled long/short retail product. Since inception in July 2014 the soft-closed $260 million plus Salt Long/Short Fund, which has a benchmark of the official cash rate plus 5 per cent, has returned an annual 9.25 per cent against a composite index return of 7.36 per cent. Over the three months to the end of November last year the Salt fund was down 4.23 per cent while staying just above par for the 12-month period.